Anthony Vialon took time to answer some questions from SPB about many things Floor which forms the backbone of this piece. Many thanks to Anthony for his time and detailed answers. 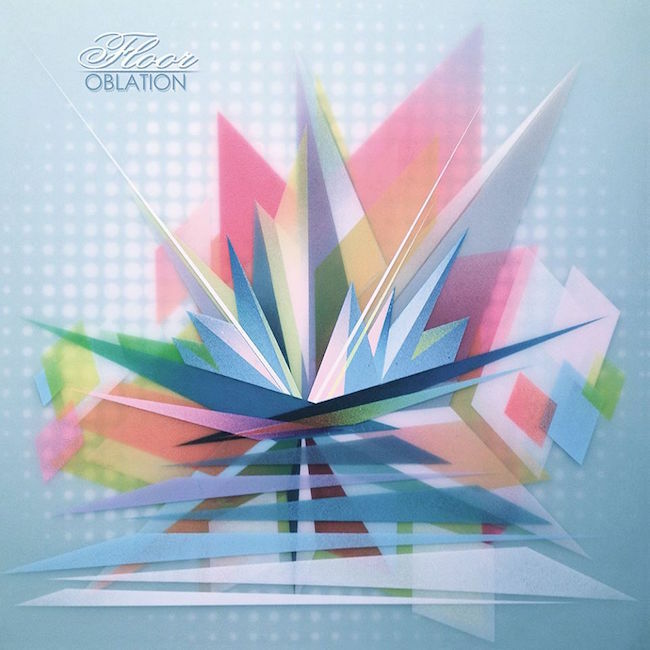 Florida-based rockers Floor released one of 2014’s most anticipated releases, Oblation, on Season of Mist in April of that year. Two years prior they played their first overseas show at All Tomorrow’s Parties in London, and would eventually travel back to Europe to support the aforementioned release. That’s not quite the middle of the story, definitely not the end, and certainly not the beginning. Floor was started in 1992. Their initial releases were EPs, singles, and split singles, primarily on vinyl. Though they recorded material for multiple full-lengths before they split up in 1996, they shelved the recordings for years. After splitting up in 1996, Floor would return for a reunion show in 1997 with a new drummer, Henry Wilson. This abbreviated return included the release of the aforementioned self-titled record in 2002. It was well-received and was seminal in the development of a following that lasted into the next decade. In 2004 Floor started a period of dormancy that lasted longer than the previous departure though one of the records that was recorded and shelved nearly 10 years earlier, Dove, was released that year. By the mid 2000s the band was still years away from fully re-emerging. Throughout those years a lot of things changed in the music scene, and within those changes were the seeds of growth for Floor’s eventual re-emergence. Years went by with each member of Floor moving on to other projects. Then in March of 2010 Robo 084, aka the Below and Beyond deluxe box set, was released on Robotic Empire (with the help of Pirates Press). A pressing of 305 copies included: 10 LPs, 1 seven-inch, 8 CDs, and a 32-page booklet in a custom cloth-bound box. The 8 CD collection was also available as a separate release with an initial pressing of 700 copies. In March of 2011 a 2000 copy second press of the 8 CD collection was released. So, where did all this come from? In regards to assembling this box set, and working with Steve again, I ask Anthony about that experience and if it had been some time since he listened to those songs. 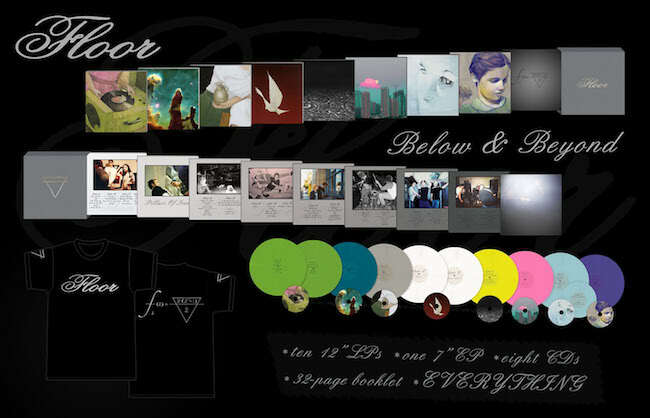 Below and Beyond would also see the first public distribution of the other record recorded around the same time as Dove. 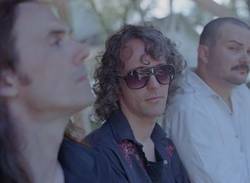 “Saturnine and Tears, which was recorded in 1995, didn’t come out until we released the box set, “ says Vialon. With some momentum behind him after the release of Below and Beyond, and playing reunion shows between 2010 and 2013, Vialon went to work on new material. “When it came to writing, I had some prolific nights. Lack of sleep, and it’s four in the morning, and stuff starts reeling off. Sometimes the songs write themselves. It’s, like, of course that’s the next riff, you know what I mean?” he explains. And how did that first practice feel? Oblation comes at listeners in 14 songs and features stunning art from Francesco Lo Castro (who later designed the art for Floor’s Homegoings and Transitions/Shadowlines release). Floor has played every song from that record live at least once, and Vialon offers his perspective of playing Floor songs live. Whether actively recording and touring or not, Floor will forever leave a musical legacy that will actively be appreciated by many fans for years to come. Words by BJ Rochinich on Feb. 1, 2017, 2:34 p.m.
Posted by BJ Rochinich on Feb. 1, 2017, 2:34 p.m.
Posted Feb. 24, 2018, 10:34 a.m.
Posted March 24, 2013, 9:08 a.m.
Posted March 10, 2011, 3:26 a.m.